COMPETITION! Win a new copy of the Jaguar Gamers Guide! Competition questions and rules: all questions must be answered except for optional ones, some are obviously easier than others, some are subjective with no right or wrong answer. This is an official competition and winners will be notified in this topic and a postal address requested via pm. This competition is completely free and winners will not incur any costs for postage or handling. The purpose of this competition is to keep the dream alive for genuine Jaguar fans. This competition is exclusive to RVG and its members. 1. True or False: At the time of launch, the Jaguar was the most powerful cartridge based system in the world! 5. In full or by abbreviation, what is the name of the best multi-platform forum on the net? 7. 2 in 1: In what country was the Jaguar designed, in what country was the Jaguar built? 8. The Jaguar has three chips, a Motorola 68000 and two others, name them. 9. Which Jaguar game title is your favourite and why? 10. How many buttons are there on a standard controller? 12. Optional question: How many feet does a Jaguar have? 14. Because I am a little superstitious, here is the final question; which Jaguar game title was designed around the VR peripheral? For the record, Alien verses Predator on the Atari Jaguar holds a Guinness World Record! 9. 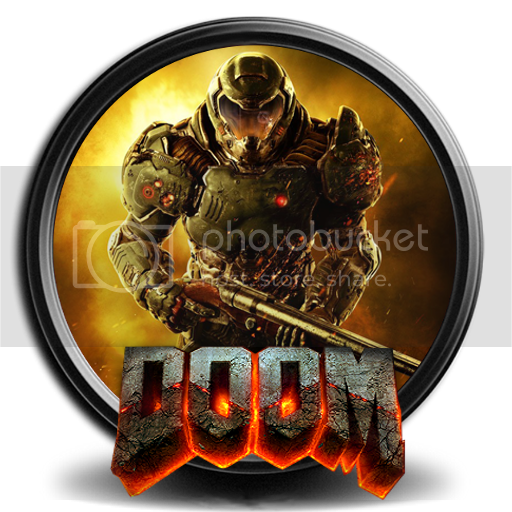 DOOM bc it is awesome and I'm hacking custom maps into it for unlimited replayability! Hmm, please note some questions have more than one right answer. Therefore, copying someone else's answers may be a bad move. Additionally, I will allow a little leeway if I feel a real effort has been made. I accept some of you will struggle with some seemingly difficult questions. I haven't said you can't ask a question for example  but, whether I answer or how I answer may, or may not, be helpful. Don't think too hard about this, just have a go. There will be more than one winner!!! Re: COMPETITION! Win a new copy of the Jaguar Gamers Guide! 1. In was certainly touted as the most powerful system at the time and my brain is telling me to say yes. so True. 4. They are all 64bit?? 5. Biased to RVG but prolly Atari Age. 6. Couple of reasons, firstly to support you, secondly I like to take part for a bit fun and I am a huge Jaguar fan anyway..
7. I would say the USA to both. 8. Tom & Jerry Chips. 9. Aliens V Predator, hours of fun games nights with my mates and we still talk about those days now when we often meet and AVP on the Jag often comes up..
My answers in RED. All from my own memory, no internet searches! Hmm, not sure. Was it more powerful than the NEO GEO...? Fight for Life. Is Ultra Vortek another one? Do they all have a 64bit data bus? lol. I imagine this could be RVG! I do fancy a copy of that Gamers Guide but its also fun to search the old memory banks and dig out some dusty cerebral info. No Googling! Alien Vs Predator. I was 13 when I had my Jag and my older cousin was off work with shingles. He came round and asked if he could borrow the Jag whilst he was off on the proviso he bought me a game. I gladly agreed (knowing how much the games were). A few days later he took me to a games shop and nearly passed out when I picked up AvP for £55! I knew exactly what I wanted lol. He stumped up the cash though so fair play to him. I still have it. 18 I reckon unless the d-pad is classed as 4 so 21 in that case. Is it some sort of anniversary? Not sure. I'm going to say Missile Command. 4. Optional question: What is the ironic connection between the Jaguar and the PS3? Both use custom chips that make them hard to program for. Because this is about Atari’s great black cat. Do I need another reason? Raiden. It is a great arcade port and vertical shooters are games that I enjoy a lot. This one not only looks great, it sounds great as well. Three action buttons (C-B-A), one Option button, one Pause button, twelve keypad buttons for a total of 17. 11. Name one of the games for the system which does not have music during gameplay. 13. (Just for fun) What, if any, is the significance of April 18th - Note: not Jaguar related and board Admins and Moderators are not allowed to answer but may give hints ?? I can’t answer this one (not allowed). Well, I must say that I am very impressed with some of those answers. Equally so that you all try to answer from memory. This competition is going well but I suspect you will all groan a little when all of the real answers are revealed. ...I suspect you will all groan a little when all of the real answers are revealed. Any more contestants, only a few days left? Well, I'm quite curious about some of the answers. Just a few more days. True or False: At the time of launch, the Jaguar was the most powerful cartridge based system in the world! In full or by abbreviation, what is the name of the best multi-platform forum on the net? 2 in 1: In what country was the Jaguar designed, in what country was the Jaguar built? The Jaguar has three chips, a Motorola 68000 and two others, name them. Which Jaguar game title is your favourite and why? How many buttons are there on a standard controller? Name one of the games for the system which does not have music during gameplay. Optional question: How many feet does a Jaguar have? Any answer is valid but the one you all missed is that today is my birthday! Because I am a little superstitious, here is the final question; which Jaguar game title was designed around the VR peripheral? For their efforts, all contestants have been declared Winners! I paw-sed for a second and then started laughing. This was good, Cryptic. Thanks!